Whenever I travel with Athena, I always look for a park for her to play or a restaurant with an indoor play place. 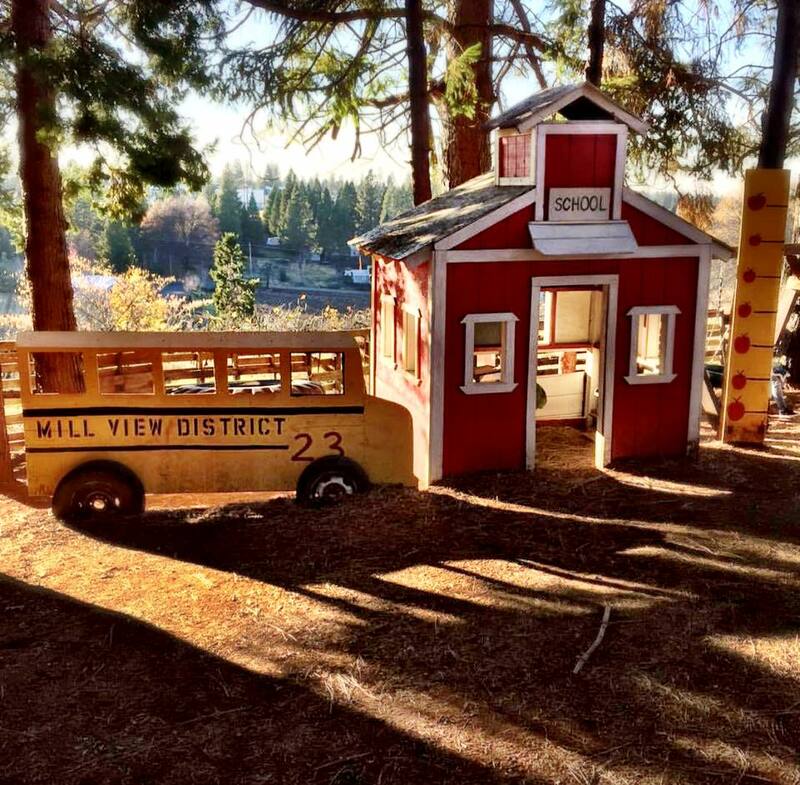 In El Dorado County, they have an entire old-west style miniature town made just for kids. It should be no surprise that despite the cold, I still made time for a visit with Athena. 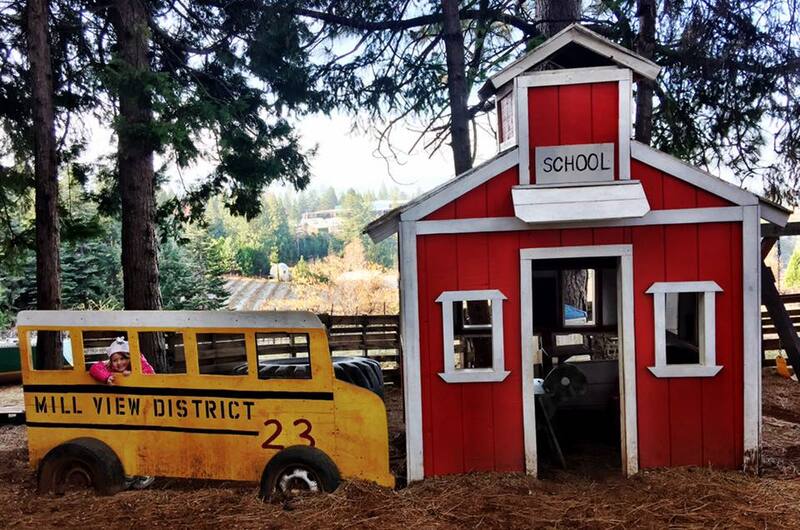 Kid’s Town is part of Mill View Ranch in Camino, California. We were recently visiting as part of a Gold Rush road trip and it was the ideal place for Athena to work her legs and her imagination at the same time. The town has more than a dozen buildings that would make up a normal old-west town including a schoolhouse, a jail, a church, and a hotel. They are just miniature. We went into the church and Athena asked me to stand behind the pulpit as she took a seat. She told me that my job was to talk to her and then direct her to sing. I played along and did as asked. She sang Christmas songs and asked me to say, “Amen” at the end. I’ve never taken her to a church before so I’m not sure where she got the ideas but I was happy to comply. I’m considering taking her to her first church on Christmas Eve. She already has a beautiful idea of what to expect and I’d like to foster it. The town also has several climbing structures and play places. 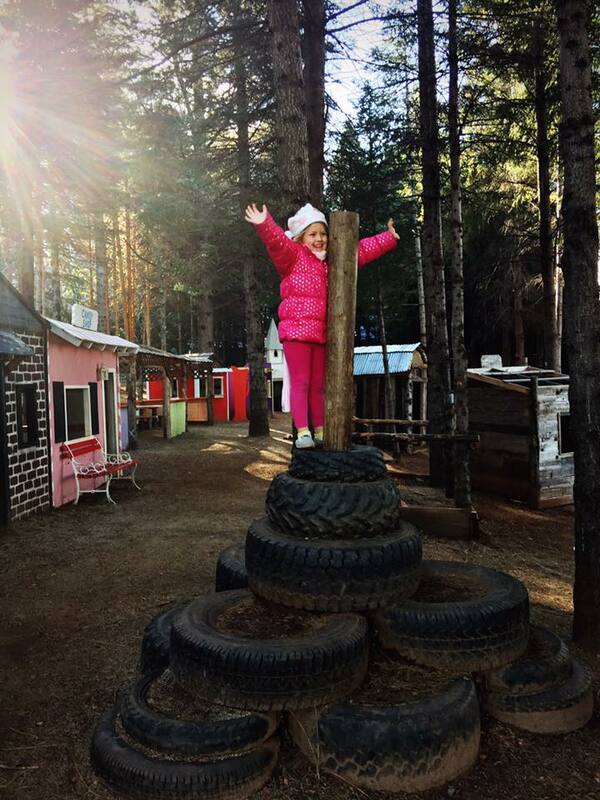 Her hands quickly got cold holding onto the swings but she loved climbing on the tires and balancing on the seesaw without holding on. We made sure to take photos at all of the photo props before hitting the road. Athena loved the adventure and I was given a little more insight into her playful imagination. 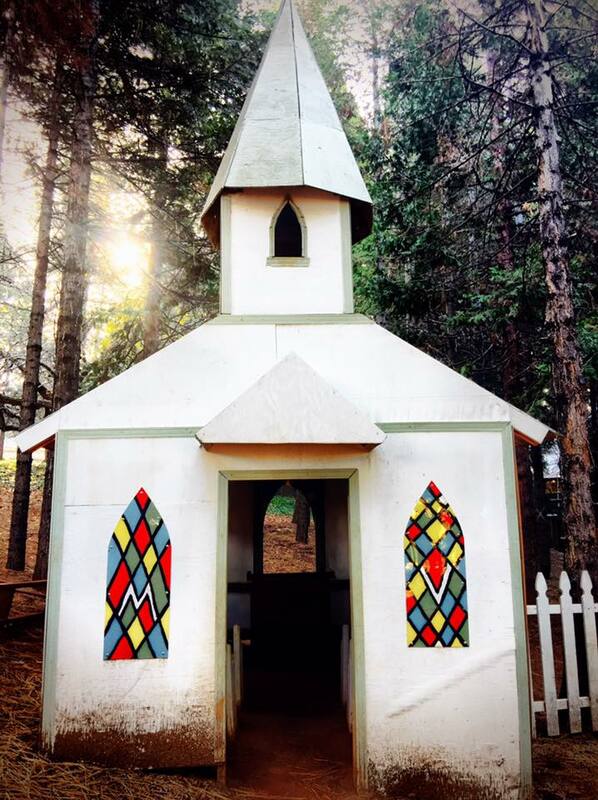 This entry was posted in California, California Getaways, California Outdoors, Family, Family Travel, Travel, USA and tagged California, Camino, Children, Family, travel by lesleycarter. Bookmark the permalink. 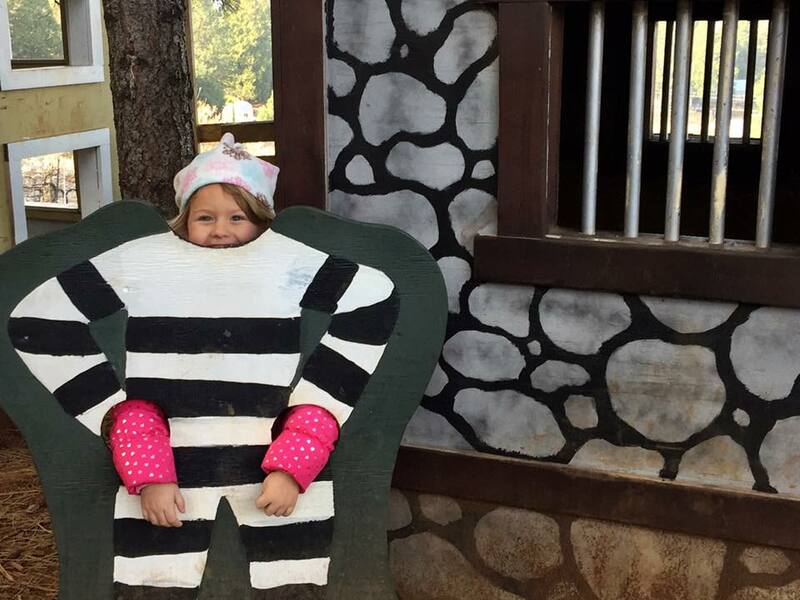 If she loved that, she will also adore Sonoma Train Town in Napa! Also, Sonoma is right across the street from a really lovely spa, just sayin’ . . .
We did, even though it was a little cold. There is a bakery there too with hot chocolate; it came in handy. That looks like a blast. I’ll make note of it for our next visit to South Dakota. This looks like a great place and Athena is clearly having so much fun. Great idea to take her to a church and help foster her lovely ideas of what church can be. Hey, I thought of you two just the day before yesterday. I was on a flight from Santiago, Chile to Houston and asked a young mother if I should change seats so her young daughter could sit beside her while we waited to board. The mother insisted that I should stay put because her little one would prefer to play on the floor. During the flight, mom put the girl into a center row of three seats by herself so that the young one was free to spread out and enjoy herself, and mom sat on the other side of the aisle. I watched the girl (when I was awake), settle in with absolute confidence and comfort, as she plugged in her headsets, chose a movie and watched it, then turned off the set and grabbed her blanket and pillow and stretched out to crash during the overnight flight. I kept thinking that Athena could end up being the same kind of self-assured young person, with a confident traveling mom like yourself.